If you are using HID or CMH grow lights, you will need a grow light reflector. The reflector is necessary for redirecting wasted light back towards the plant canopy. With so many different types of reflectors, it can be tough to decide on one. There are also a lot of specifications that can make shopping difficult. 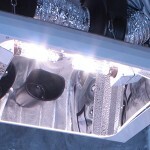 The purpose of the reflectors is to make the light from your grow lights more effective and efficient. If you do not choose the correct reflective hood, it can actually have adverse effects in your grow room. Lets take a look at the best grow light reflectors for each grow light type. These are available in a range of sizes and shapes including rectangular, square, parabolic. With all these options, it is no wonder it is confusing for those who are getting started with indoor growing. The various combinations of type, shape, and size are going to create a different type of light reflection output. The main types of grow light reflectors you will find are the open and air-cooled options. The open reflectors tend to have a shape that will allow for the maximum amount of light to reach your plants, while still being able to vent the heat upwards, so it can be taken care of by your exhaust and venting system. These types of reflectors also often fall into the adjustable category. This means you can place the light close to or further away from your plants, and change the reflector shape to get the coverage you need. They tend to be a more affordable option, as well. When you use a grow light reflector, you will be redirecting a ton of energy back down over the canopy. This will result in a lot of heat building up. If you do not have a method for expelling this heat, you will run into problems. The best grow light reflectors will generally be air-cooled. These help remove heat that they inevitably produce. The air-cooled grow light reflectors are a good choice for those who are worried about heat. With this type of reflector, you will still get all the light you need for the plants, without the heat build up associated with non-air cooled reflectors. There is cool air that flows through the sides of the reflector, which can then be vented from the room. You can connect ducting or an inline fan into the flange, and quickly remove any heat that build up in the hood. There are also different types of reflective surfaces available for the reflectors. They offer highly reflective surfaces, as well as those that are dimpled. The polished surface reflectors will reflect the light directly, while those that have the dimpled surface will send the light out in many different directions. Either of these surfaces could work well for your plants. What you need to look for when you are making your purchase is the refractive index. This tells you how much energy of light is lost to heat during the reflection process. You want the amount of energy lost before hitting the plants to be as low as possible. The higher the amount of reflection the reflector can produce, the better. When you are purchasing, the manufacturer will indicate the reflective percentage. Ideally, you will choose those that are 90% or better. The actual materials for the reflector can vary, as well. The cheapest option is oxidized aluminum, but this will only provide you with about 70% on the refractive index. Anodized aluminum can provide about 85%. The best option currently available, even though it is pricier, is PVD aluminum, which can increase the reflective index to 95% and higher. You will also find that many of the dimpled reflectors can provide you with a reflective index above 90%, and this could be a good choice for those who are still on a budget, but who need this increased amount of reflection. Having an understanding of what the various types of reflectors available can give you a better idea of which one is going to work well for your setup. 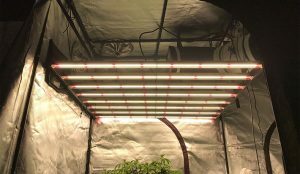 When you are looking for the best grow light reflectors, you will want to make sure you are using those that have a white or silver-colored coating. These colors can do a very good job of reflecting the light when compared with other colors. The silver tends to work well for those who have large fixtures. The smaller fixtures can reflect the light with greater intensity, and these are best when they are white. Another factor to consider when you are choosing your reflector will be the shape. Many of the grow lights on the market have angled sides, as these allow them to reflect the maximum amount of light and direct that light toward the plants. Some of the reflectors are going to have a rectangular shape, while others will have a shape that is similar to a half circle or an umbrella. You will want to make sure that the reflectors are a bit larger than the area that will be larger than the area where the plants are growing. This is because the intensity of the reflectors starts to drop toward the edges. By having a somewhat larger reflector, you will not have to worry about the plants on the edge of the growing area suffering. As a tip, no matter the shape that you choose, you will want to position them, so they are directly above the plants. This way, they should be able to provide plenty of direct light for the plants. When talking about grow lights and grow light reflectors, you also need to consider the need for keeping the grow room at a reasonable temperature. Depending on factors such as the size of the room and the types of lights you are using, you will want to have a vent and exhaust system in place, so the fans can help to disperse the heat. Finding the best grow light reflectors is about more than just looking for brands. It is about taking the information discussed here and then seeing if the various options on the market are truly right for your needs. To learn more about grow lights, visit our full learning center category!